6 850,00 € tax incl. 5 708,33 € tax excl. On the occasion of the 150th anniversary of the DOR house, we wanted to spotlight an outstanding Cognac. We couldn’t resist letting you discover this venerable Grande Champagne, and tried to find it a tailored suit. Consequently, the Royal Crystal Glassware of Champagne created a unique crystal bottle. 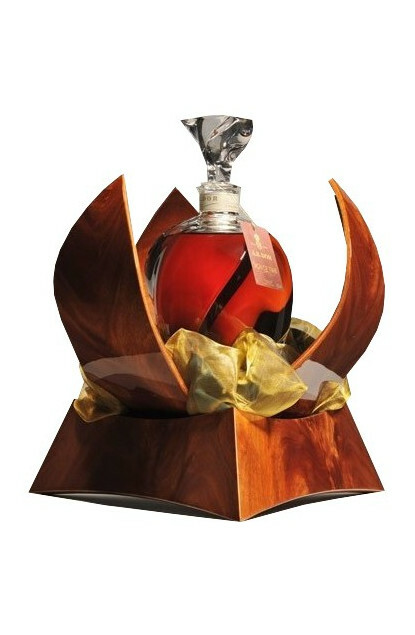 To ennoble the alliance between Cognac and crystal, a craftsman from the region achieved an exclusive mahogany casket.